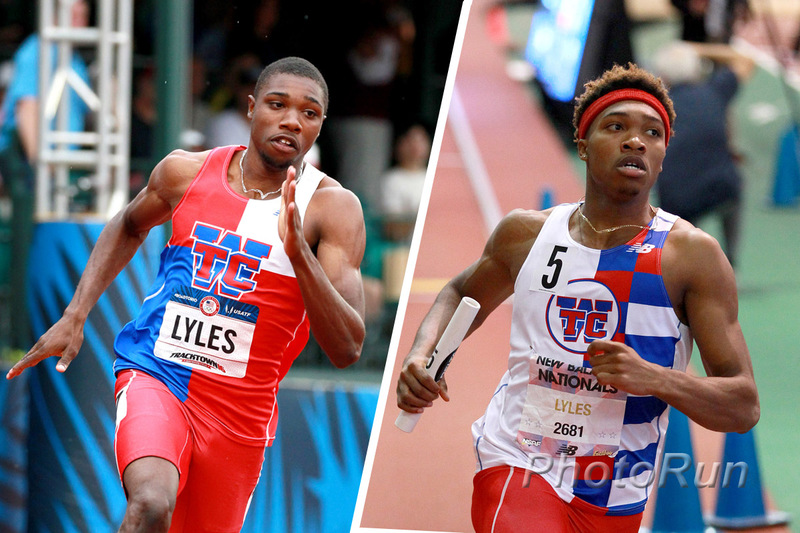 Success has been no stranger to Josephus Lyles. In just his second year of high school, Josephus won his first Virginia State High School Championships over 400m. Two weeks later, he claimed the national outdoor title, as well and ended his season with a gold medal in the 4x400m Relay at the IAAF World U20 Championships. In 2015, Josephus was nearly unstoppable. He won Virginia state titles at both 200m and 400m, and won gold medals over 400m and in both relays at the Carribean Scholastic Championships in Havana, Cuba. That June, he won the national under-18 title at 400m and represented the USA at the IAAF World Under-18 Championships in Calí, Colombia. In Colombia, Josephus won the silver medal over 400m and the bronze in the 200m. Josephus’s senior season started out thrillingly, with the quarter-miler specialist winning the national high school title at 60m. Though injury late in the season curtailed his outdoor campaign, his results were impressive enough that Josephus turned pro and bypassed the US collegiate system to focus all his energies at the top level of the sport. In his first full season as a professional, Josephus won the silver medal over 400m at the Pan-Am Junior Championships and ran a key leg on the USA's 4x400m relay at those championships, setting a new under-20 world record. A year later, Josephus qualified for his first senior US Championships final, taking sixth in the 400m.